Microsoft is prepping to release the Windows 10 for public as well as for its partners on August 31 as per the listing spotted at NewEgg website. 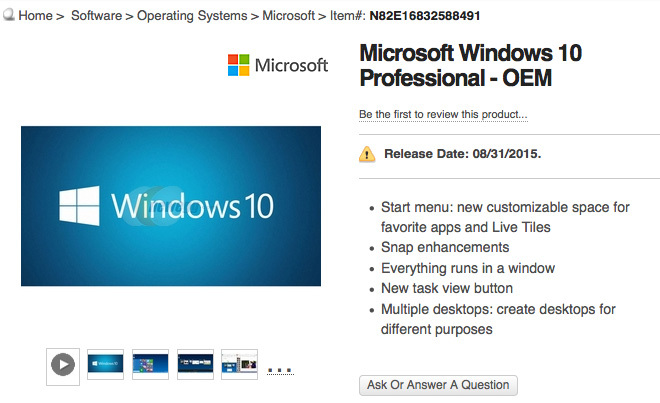 To be noted that the listing is for the OEM versions of the Windows 10 Home for $110 and Windows 10 Professional for $150. The Windows OEM editions are at a discounted price compared to the retail editions, so pricing for the regular version will likely be higher than that.